I've been admiring these things for soooo long now, it's a little hard to believe its the first time I've managed to actually do one! 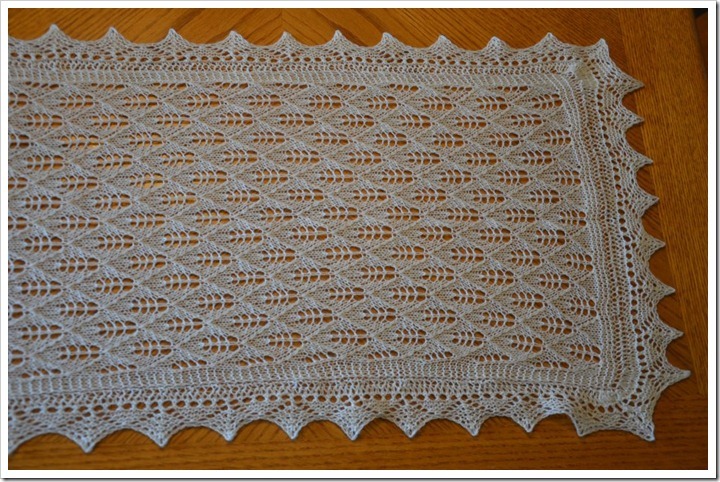 I've done some samplers, and several Estonian-style lace shawls. 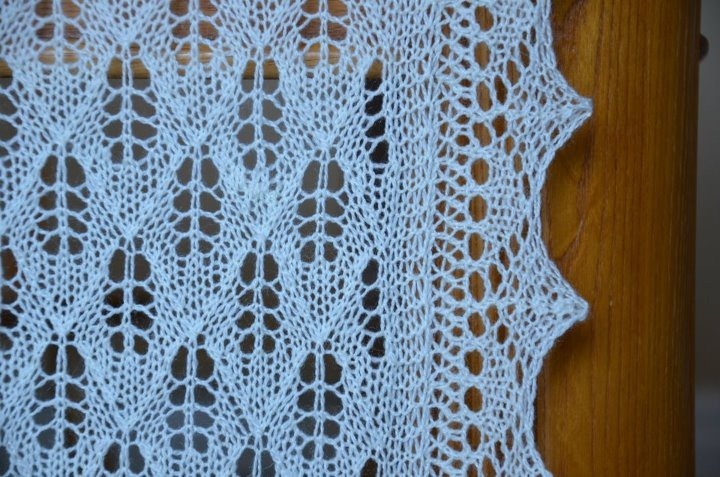 but this time I used the schematics from "The Haapsalu Shawl" book and decided to try the traditional way with a simple border and center motif. 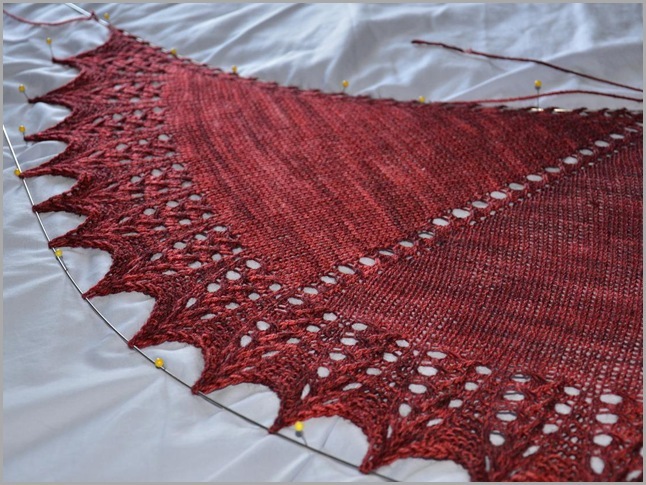 The basic idea is this: Knit a rectangle with a garter stitch border. 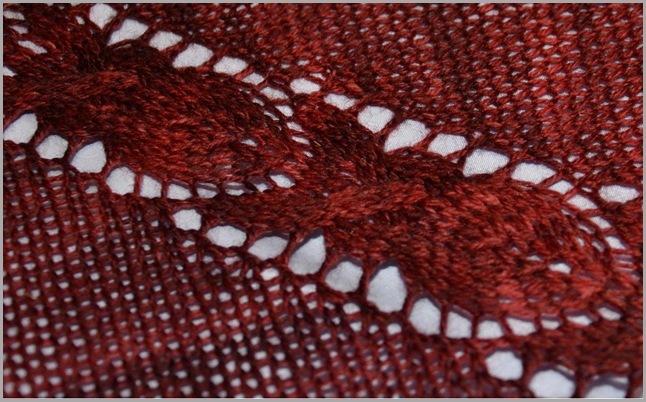 Knit a border separately and seam it onto the rectangle in a manner that it stretches and melds in with the center. 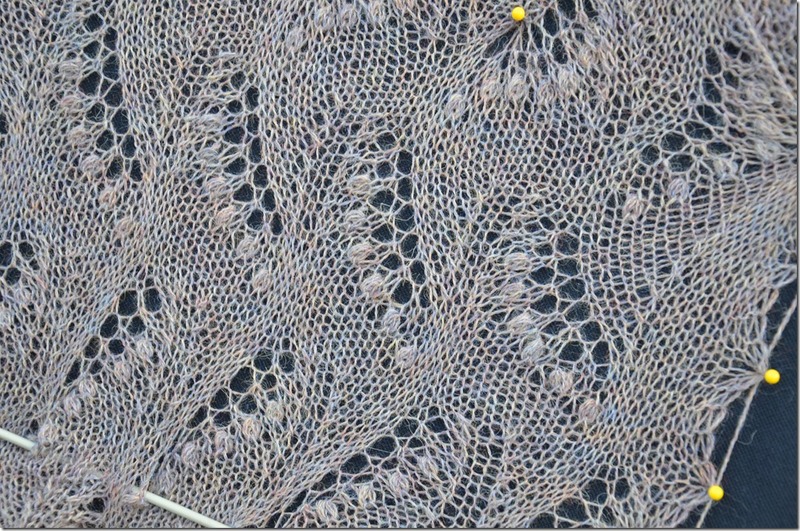 After blocking, you can't tell it's sewn on at all. In fact, I like the way it looks like the corners have been rounded a bit. I decided to go with a very simple pairing for the first try. some lilac leaves for the central panel, and a basic garter lace edge. 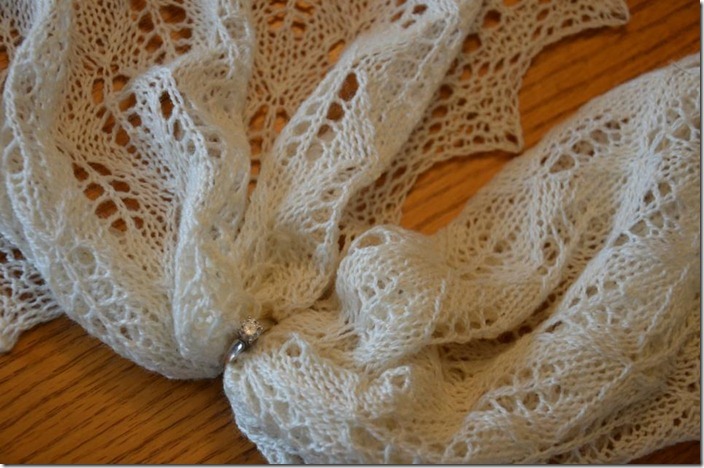 I love the simplicity of this style of lace leaf. It's a repeating pattern of 16 rows. 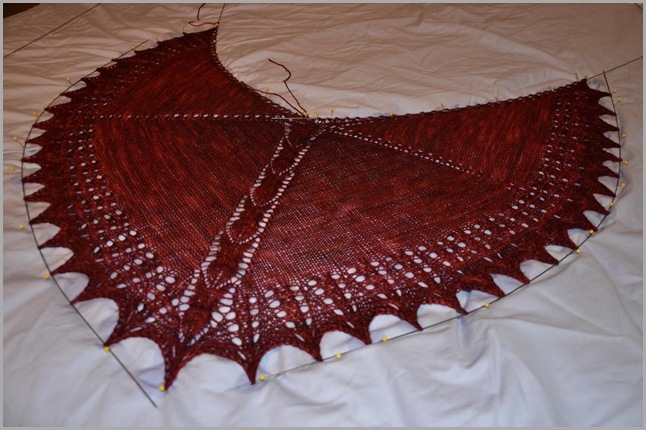 The reverse rows are all purl, the yarnovers stack in a perfectly tidy "spine" for the leaves, and the decreases form a simple point to the leaves. I didn't have to think too hard, but still managed to create something quite elegant. For a first time really sewing on a border, I think it turned out pretty well. One mistake I made though. cutting the thread between the two long border sections. All that meant was that I had 4 more stupid ends to weave in. Also - I think I would be a little better at weaving in the ends next time. The silk in the thread made things a little more slippery than I am used to, and meant a little more weaving and fiddling than plain wool would have been. 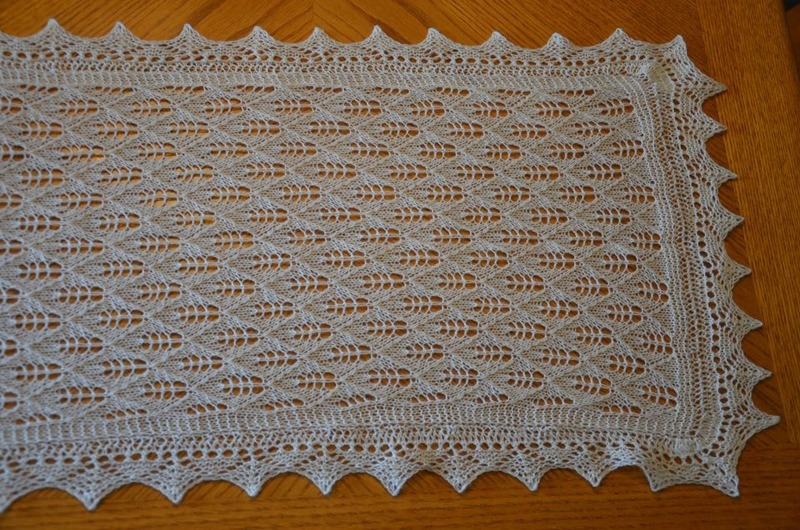 I was interested to learn that the edging is knit in garter lace (all wrong side rows are "knitted" instead of "purled") so that the points don't roll after blocking and unpinning. 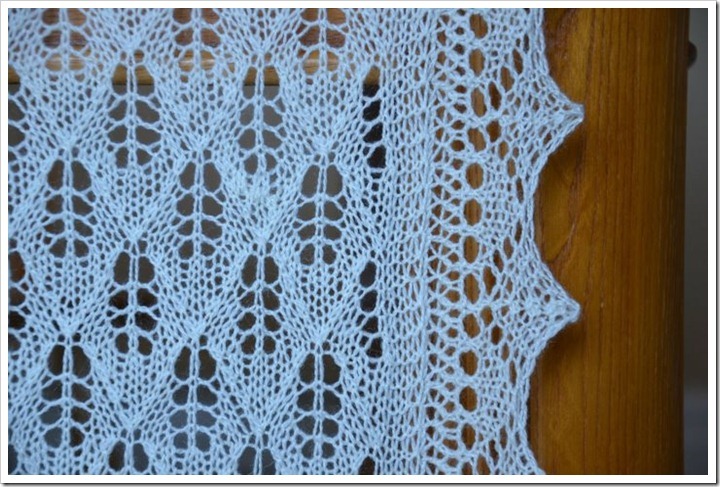 The central panels of often very complicated lace are almost all stockinette lace (purling the wrong side rows) but the edgings are planned in a really smart way. Somebody was thinking when they decided on that one. it's true - after blocking, even after folding and refolding, and toting it around for a week or two, no rolling. More about the yarn. in case you were wondering: It's KnitPicks Gloss lace in "Bare". 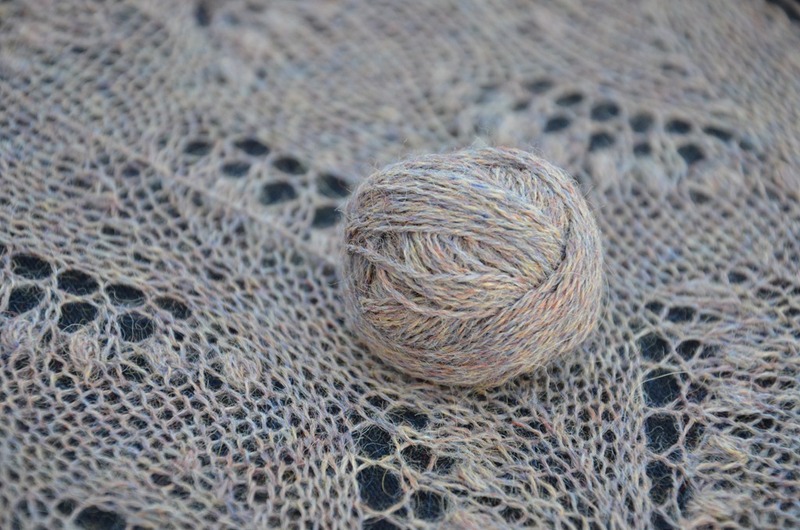 I really like the simplicity of this yarn. 70% Merino wool with 30% silk. 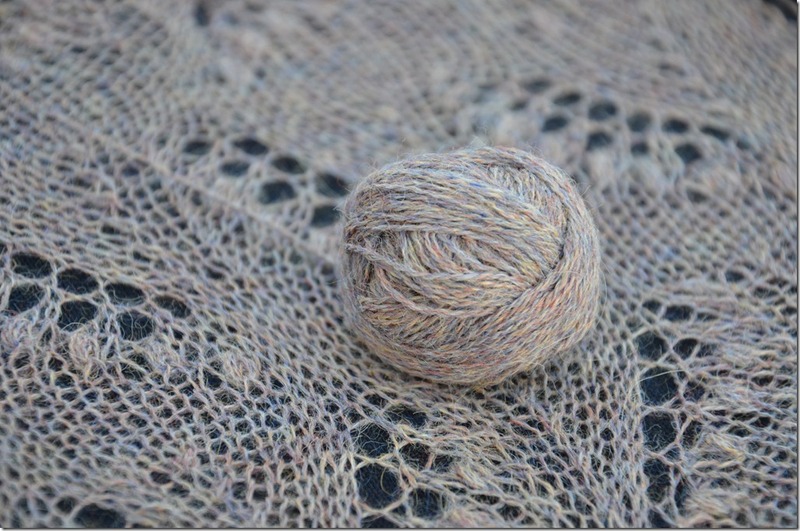 Nice and light (50g is about 440 yards) and the silk adds just that hint of shine. I used about 75 g in total. basically using up the leftovers from some other project I had been puttering with. 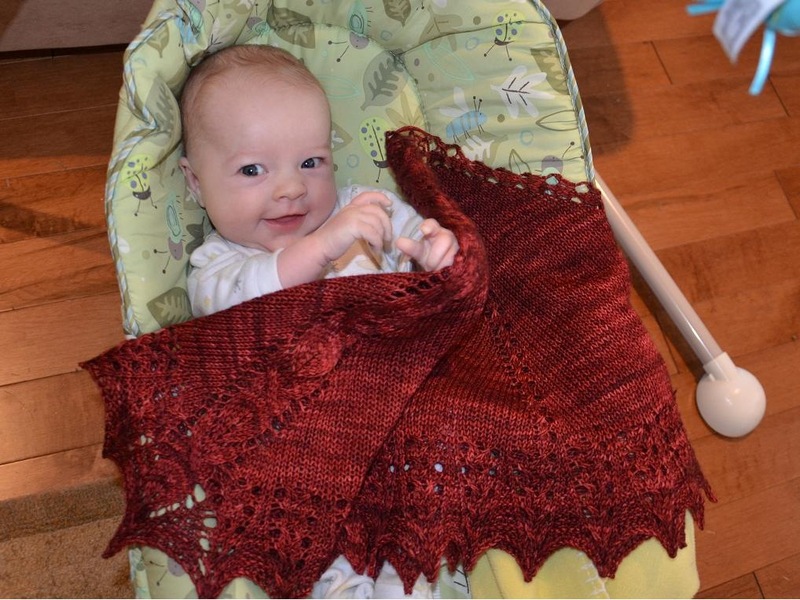 I think next time I'd like to go for the full sized shawl though. This one was around 18 inches wide by 50 inches long. the real deal Haapsalu should be more like 30 inches wide by 75 inches long. I was running out of yarn, so maybe it's best I just stuck with the conservative approach. I suppose not all things (quilts, shawls, blankets, etc) must be ginormously huge. Try telling my brain that though. "Go big or go home" is it's motto some days. 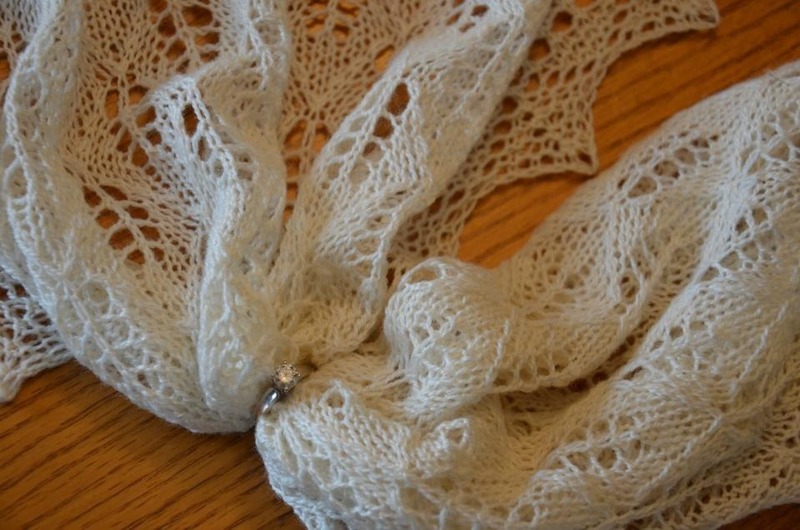 I also really liked the ruffle section... as you can see, it?s kind of like finger braids with eyelets, and little webbed portions between them. I think they really look like wings, maybe webbed dragon wings? I also love the glow and shine in this yarn. 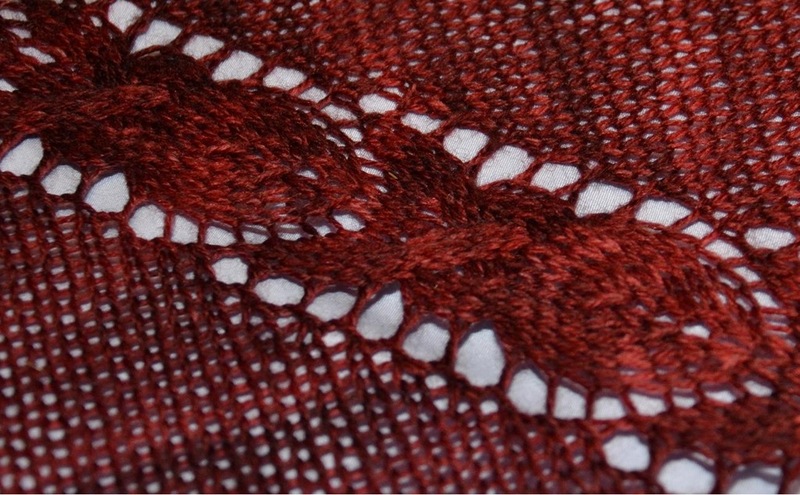 Delicious texture, even on plain stockinette.